“The last time Doo Ho Choi walked into the Octagon was 13 months ago against Cub Swanson. A lot of hype was behind him. He was on a 12-fight winning streak, 10 of which were knockouts. He was 3-0 in the Ultimate Fighting Championship, and all three of his wins were first-round knockouts. Even though he was ranked 11th in the official UFC rankings and Swanson was fourth, Choi was still the favorite. Choi was a promising prospect, an exciting fighter from a region ripe with potential. Swanson was a fairly known commodity who increasingly fit the bill as a featherweight gatekeeper, boasting the most wins in World Extreme Cagefighting-UFC featherweight history but having suffered losses to the division’s elite more often than the opposite. An exciting standup affair was expected, and it looked as if a memorable win against a top-five opponent was in the cards for “The Korean Superboy.” All the stars were aligned for a coming-out party. The fight was indeed spectacular, but the result was not what was expected: Choi lost a competitive decision in one of the year’s best fights. 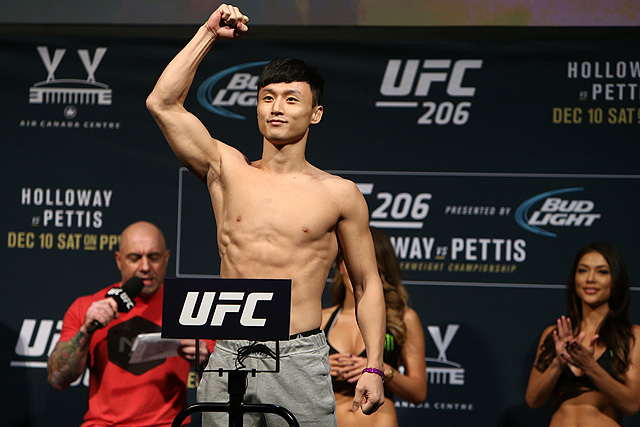 Choi returns in the UFC Fight Night 124 main event against Jeremy Stephens on Saturday in St. Louis. The specifics have changed, but the general idea is the same. Stephens is ranked higher at No. 9, but the 13th-ranked Choi is the favorite, albeit with narrower odds. Stephens is looking more and more like a tough gatekeeper to weed out the weak from jumping in the deep-end of the division, and the style matchup of two heavy-hitting standup specialists should result in an exciting fight. Especially since the Swanson loss did little to derail his hype, the stars have once again aligned for Choi to make a jump to the next level. “There are two different Seouls. One of them exists in American headlines and imaginations. In that Seoul, half of South Korea’s 50 million people are living in constant terror. This Seoul is blanketed by Pyongyang’s nuclear shadow and Washington’s gaseous emissions, caught between a geopolitical rock and a hard place: the bratty obstinacy of a vain, power hungry madman, and Kim Jong-un. In this Seoul, South Koreans are paralyzed, able to do little more than cross their fingers and frightfully cling to the sanity of hope in an increasingly crazy world. Then there’s the Seoul that actually exists in reality—the Seoul where the fire and fury on everyone’s minds is an oppressive, record-setting heat wave. Alongside unusually high levels of monsoons, the humidity has been brutal, leading to enough air conditioner usage to cause brief power outages. As a result, the big consumer trend of the summer has been handheld battery-powered fans. In this Seoul, the Korean Baseball Organization is halfway into its regular season. Fans flock to the stadiums, clutching their handheld fans, spilling in and out of subways wearing their team’s jerseys. Smells of soju and beer and fried chicken waft through the subway stations. 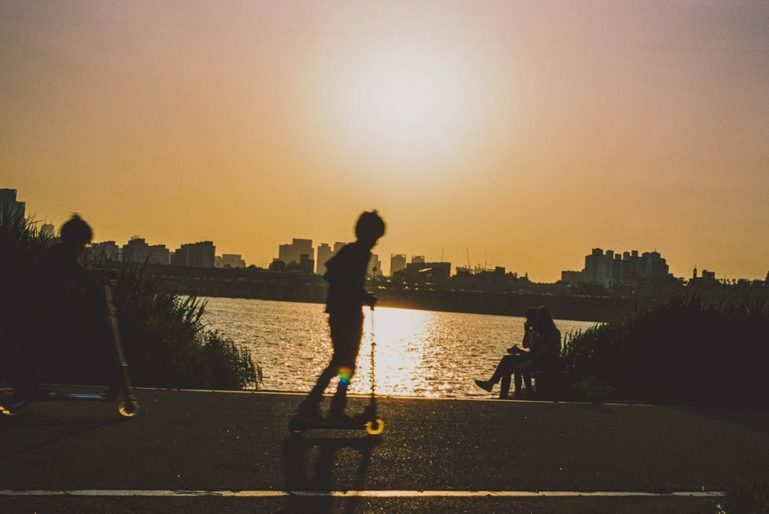 The Seoul of actual reality obsesses over a slew of K-pop groups releasing new albums—called “comebacks”—and the most commonly discussed battle is whether Red Velvet’s “Red Flavor,” Exo’s “Koko Bop” or, more recently, Wanna One’s “Energetic” is the top summer single.